To someone with an eye for advanced statistics, there are a whole lot of markers that point to a decline in Dwyane Wade's athleticism. His rebounding, steal, and block rates are all way off from last season. Assist rates too, though those don't align explicitly to diminished athleticism. Charles Barkley doesn't need advanced statistics. Or, at least, he doesn't think he needs advanced statistics in the case of Dwyane Wade. The eye test, for however many games Charles has seen Wade play in this season, is enough for Barkley to determine that Wade has lost a step. Couple that with a frustrating (if ultimately triumphant) individual postseason for Wade in 2012, and you have all the makings for a wide-open space for Barkley to step in and conclude on TNT that Wade "is not the same guy." Which leaves a Barkley-sized space for Wade to dribble through in consecutive wins over New Orleans and Atlanta in Miami's last two victories, averaging 26 points on phenomenal 80 percent shooting along the way. "It means Charles Barkley needs to shut up," James said. 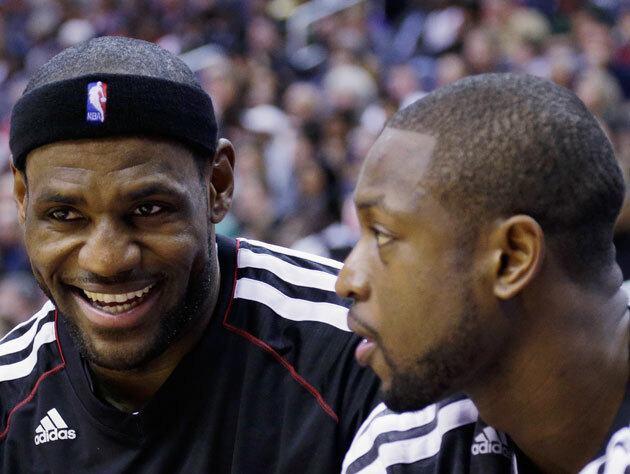 "I mean, the man [Wade] is shooting 80 percent from the floor the last couple of games. That's like, crazy, right? That's why he is who he is. Unbelievable." That is who he is — LeBron's teammate, and a proud NBA vet with significant gifts left to still share on this stage. "He's starting to lose his athletic ability," Barkley said. "He's not the same guy. I got a look at him in person. He doesn't explode anymore and he's shooting a lot of fadeaway jumpers. "The toughest thing for Dwyane Wade is understanding that he's starting to lose his talent and now he has to learn how to play below the basket," said Barkley, who worked as a color analyst on site in Miami during the broadcast. "The toughest thing when you're a great player or very athletic, when you can't jump over a building anymore, you have to learn how to play." It took this two-game burst for Wade to bring his shooting above the 50 percent mark on the year, a fantastic achievement for a guard, but before this he was below his career average percentages from the field. The all-around game that Wade once routinely showcased has dimmed quite a bit this year, and it doesn't take a cable TV know-all to point out that Wade was fading on jumpers and pump-faking a bit more than usual to start 2012-13. This is par for the course, though. Dwyane has played deep into the playoffs in five of his eight NBA postseasons, and he's in his 10th campaign. He's long been known for sacrificing his body on drives to the basket, he had to carry a lacking Heat team from Shaquille O'Neal's last gasps in the 2006 NBA Finals until LeBron and Chris Bosh showed up in 2010, and he's coming off a significant knee surgery that probably won't leave him at full strength for another few weeks. In the interim, as Chuck noted, he needs to find a way to rely more on savvy and less on his explosiveness to pair with his always in-place basketball smarts. Barkley is right. Dwyane Wade is still more than capable of consistently playing the sort of NBA games that can be described as "unbelievable," and he's quite capable of returning to the sort of all-world play that marked his 2011-12 season until the injuries took their toll. It's a long season with plenty of games and minutes to work through, but that should serve as a glass-half-full situation for Wade. He's got a long way to go between now and that sixth deep playoff run next spring to bring those wheels back up to full speed. 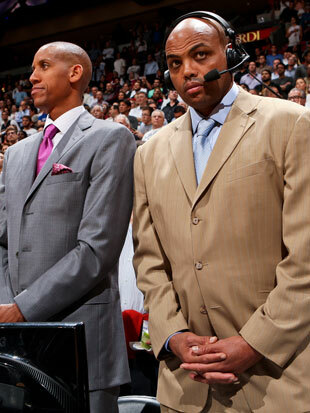 Until then, though, don't bet on Charles Barkley shutting up anytime soon.